A great coin at a great price. 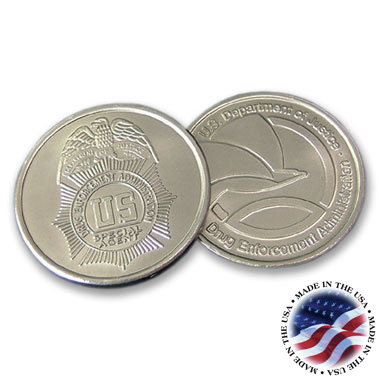 This new 1½" diameter coin features a Niox material which gives you the feel and decorating ability of silver or nickel plated brass at a fraction of the price. Includes standard satin finish $1.50 each @500. Use our dies on file or create your own. $350 for new dies. You can antique for an additional $0.40 each. E-mail us your design ideas for a free mock-up.